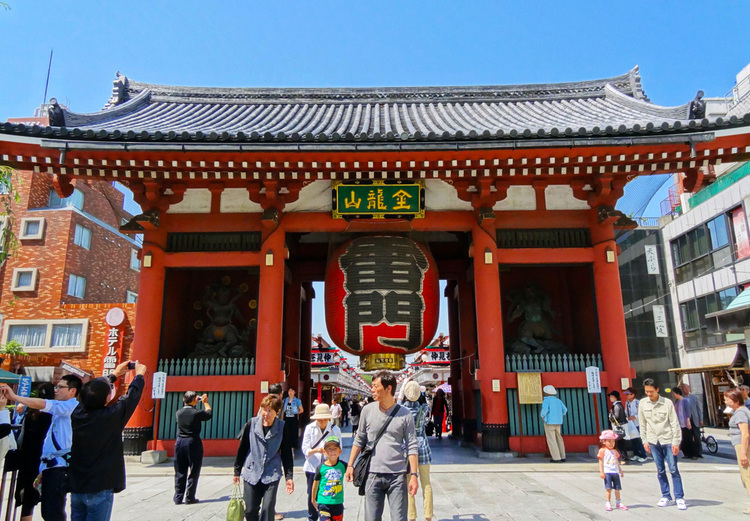 The Kaminarimon Gate, meaning “Thunder Gate”, is the outer of two large entrance gates that ultimately lead to Sensō-ji Temple. The gate was first built in 941, and has burnt to the ground multiple times. The current structure dates from 1960. The Kaminarimon Gate was first built in 941 by Taira no Kimimasa, a military commander. It was originally located nearby the Sumida River, but it was reconstructed in its current location in 1635.The gate has been destroyed many times throughout the ages. The gate’s current structure dates from 1960. 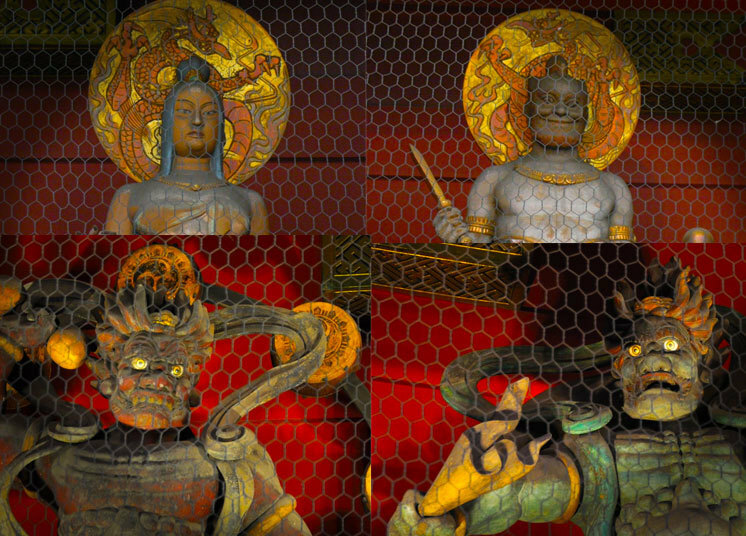 Four statues are housed in the Kaminarimon Gate. On the front of the gate, the statues of the Shinto gods Fūjin and Raijin are displayed. Fūjin, literally the God of Wind, is located on the right, or east side of the gate, while Raijin, literally the God of Thunder, is located on the left, or west side. Two additional statues stand at the back of the gate: the Buddhist god Tenryū on the right, and the goddess Kinryū on the left side. In the center of the Kaminarimon Gate, hangs a giant red lantern. The front of the lantern displays the gate’s name, Kaminarimon. Painted on the back is the gate’s official name, Fūraijinmon. Being very fragile, the lantern is not an original piece. 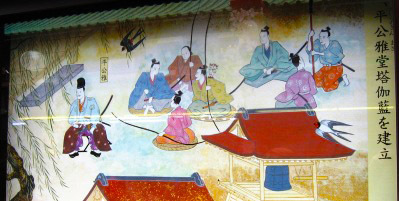 It is instead a restoration that was donated by Konosuke Matsushita, the founder of the Matsushita Electric Industrial Company, now known as Panasonic. The company’s name is carved in the metal bottom of the lantern.